North Vista Trail at the Black Canyon of the Gunnison in Colorado – Black Canyon has some of the oldest rock formations on the continent, making it just as stunning as the famous Grand Canyon in Arizona — but with much less people. The North Vista Trail will take you through lush forests lining the canyon’s rim, giving you breathtaking views of the inner canyon and nearby mountains. Mid-level hikers can take the moderate trail to Exclamation Point, which takes all of three miles back and forth. At the same time, more experienced hikers can carry on to Green Mountain, which is a seven-mile hike round trip. Alpine Lakes Loop Trail at the Great Basin National Park in Nevada – This 4.7-mile trail can be done by hikers at various skill levels, who can hike through pine forests and jagged ridges to reach Teresa Lake. The jewel-like shade of the lake’s still waters are especially calming on a summer’s day. The entire scene is made even prettier by the primrose ringing the lake, and at night by the reflection of stars shining on the lake’s surface. Libby Creek Trail #415 at the Lake Chelan National Recreation Area in Washington – This trail leads to the scenic Libby Lake. It’s a steep and challenging hike, but it the trail includes wildflowers, forests of ponderosas, and a log cabin and ruins of a rock dam from the early 1900’s. Mount Franklin Trail at the Isle Royale National Park in Michigan – A hefty 10 miles back and forth, this trail is certainly not for the faint of heart, but the views definitely make the added challenge worth it. There are not many people who go to this national park, so hikers are guaranteed the calmness and quiet they crave. The trail is filled with spruce and fir trees, as well as cliff views, a view of the island, and even a sight of Canada. Any trail at the Gates of the Arctic National Park and Preserve in Alaska – No matter which trail you choose to pursue at this national park, you’ll get a good dose of the rough and rugged arctic wilderness. There are no established trails here, so hikers do need to be more careful. But the views of the towering glaciers and granite peaks, are well worth it, especially as they greet you while you pass through wildflower growths and gushing streams. Plan wisely, and consider the weather – Get the weather and temperature forecast for your intended date and pack accordingly. 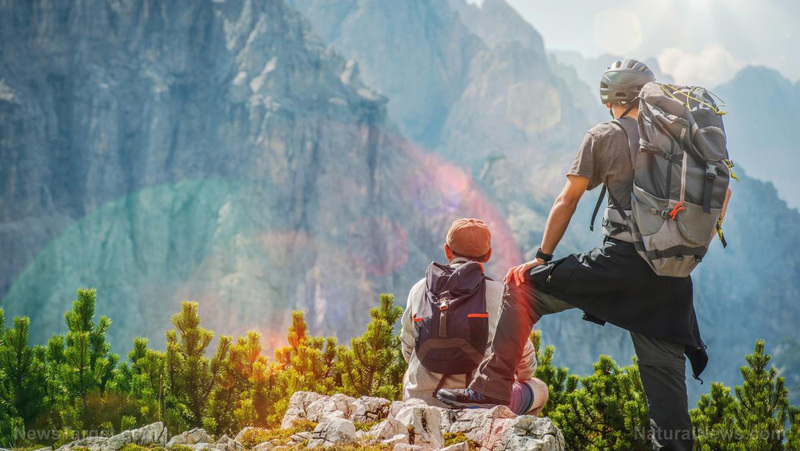 Choose an appropriate hike for your abilities – Don’t overestimate yourself, and remember that even experienced hikers have been surprised time and again by the difficulty of a trail they’re tackling for the first time. Pack light – Your hike will be so much better if you’re not lugging around a backpack that’s almost as heavy as you. Pace yourself – Don’t rush, and allow yourself to enjoy the crisp mountain air as you hike. You’ll get more out of the experience that way. Take Breaks – Taking a ten-minute rest at least once every hour will help remove the metabolic waste that accumulates in your muscles, protecting it from damage. You can also take this time to eat and enjoy the view. Fuel up with food and fluids – Eat more than normal before your hike to ensure that your body has the energy it needs to get through it. Salty snacks and water are recommended for hikes longer than 30 minutes. Be mindful of the time – Remember that it takes longer to hike up than to hike down. More importantly, bring a small flashlight in case the sun does go down on you while on the trail.